PET packaging specialist APPE has launched a plastic aerosol that provides a lower cost alternative to tinplate or aluminum cans.The new pack called ‘SprayPET’ is ideal for a variety of personal care and home care products, such as creams, shaving gels, sun tan lotions, hair care products, polishes and surface cleaners. The 335ml PET aerosol offers a lightweight construction ensuring a lower total cost of ownership compared to metal equivalents as well as delivering a lower carbon footprint of up to 65% (calculated using the Bilan Carbon method). The container is also recyclable, adding to its sustainability benefits. Other pack sizes will follow shortly. SprayPET can be delivered in white or transparent PET, with printing and sleeving options available. The material’s design flexibility means a variety of different shapes and styles can be created to enhance brand image and offer effective product differentiation on-shelf. The aerosol also offers excellent durability and will not dent or rust. 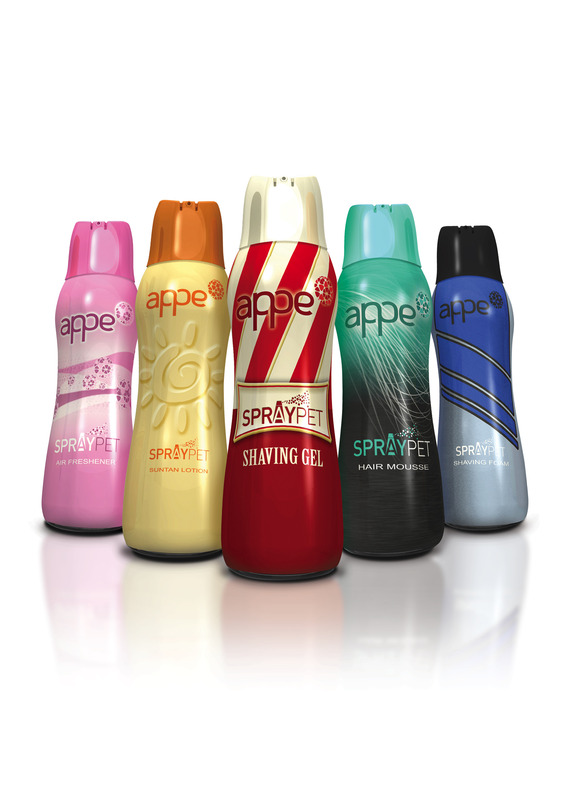 SprayPET can be specified with any standard actuator and APPE is pleased to be working with Plasticum, Europe’s leading supplier of aerosol over caps, spray caps and actuators, to provide these. A 57mm gel actuator is currently available and the range will be extended with both foam actuators and spray caps, tailored to the specific dispensing requirements of different product applications.